A view from the Empire Bluff Trail last fall. 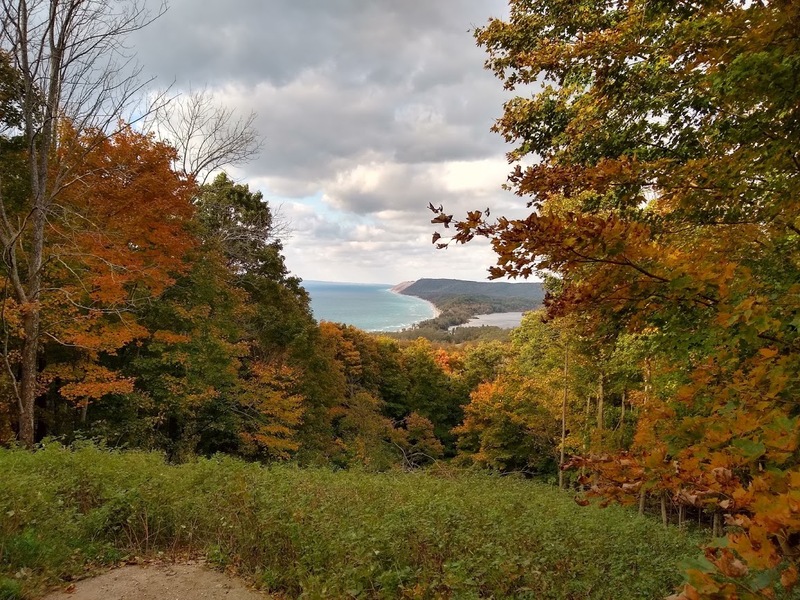 For four years, I endeavored to write a few blog posts per month about Michigan. I enjoyed reading books by Michigan authors, trying new restaurants, visiting new towns, and immersing myself in everything Michigan. But four years is a lot of time to write about the same subject, especially when not getting paid for it and trying to balance my real job, family, and new love for running. I also ran into some negative feedback, and I decided it was time for a break. A couple people have recently suggested that I bring this blog back after shelving it for more than a year. I've also found myself thinking about posts that would be good for this blog over the last few months. So I have decided to revive Lifelong Michigander, and I figure there's no better time than the first day of spring to do so. I'm looking forward to new adventures, and I hope more than a few people come along for the ride.